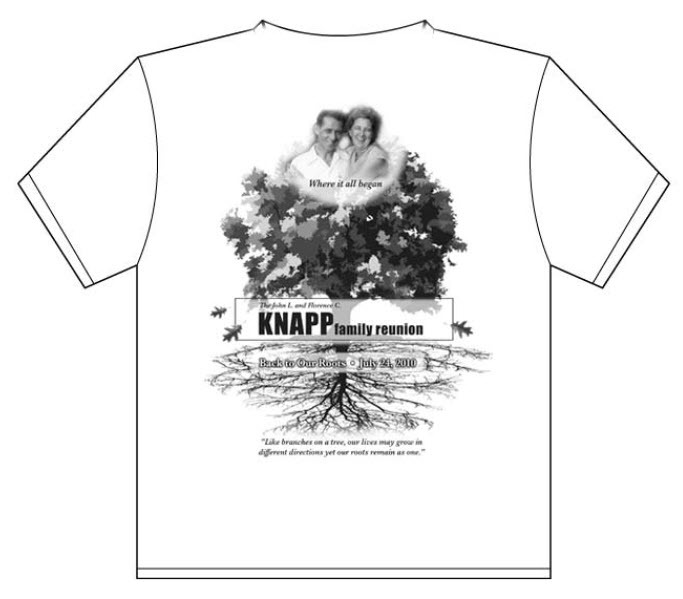 The Knapp Family Reunion 2010 t-shirts are now available! And I have to say I think they look GREAT! Kudos to our graphics arts designer, Lori Knapp Albright – who did a fantastic job! Isn’t it great to have a designer in the family? I am sure these will become treasured collectibles each year. We would like to encourage everyone to purchase a shirt. The money we make from t-shirt sales helps defray the costs of renting the shelter at the park, providing the food and disposable dinnerware and cutlery. Each family (Ray, Gary, Bernie, Tom, Don and John) will have their own t-shirt color. 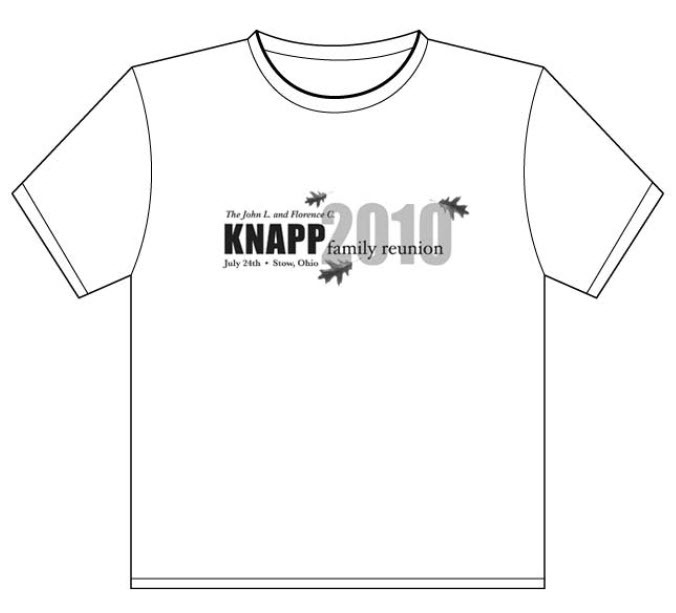 This entry was posted in T-Shirts and tagged Knapp Family Reunion 2010, Lori Knapp Albright, t-shirts. Bookmark the permalink.